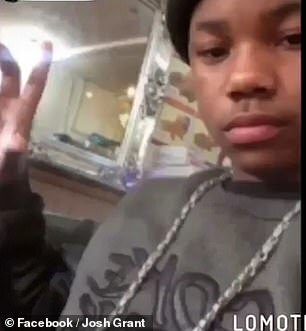 A 14-year-old boy stabbed to death in London has been pictured on his moped making gang signs – as a top policeman urges the public to feel ‘appalled’ by the murder. 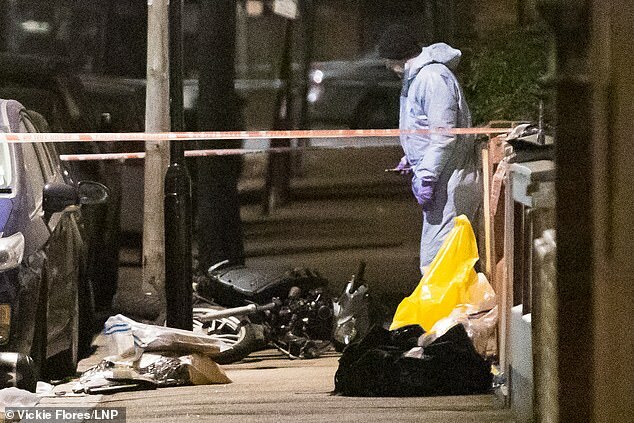 Jayden Moodie was stabbed at least seven times in the back in ‘a targeted attack’ on Tuesday after being deliberately knocked off his moped in London’s fourth murder of 2019. 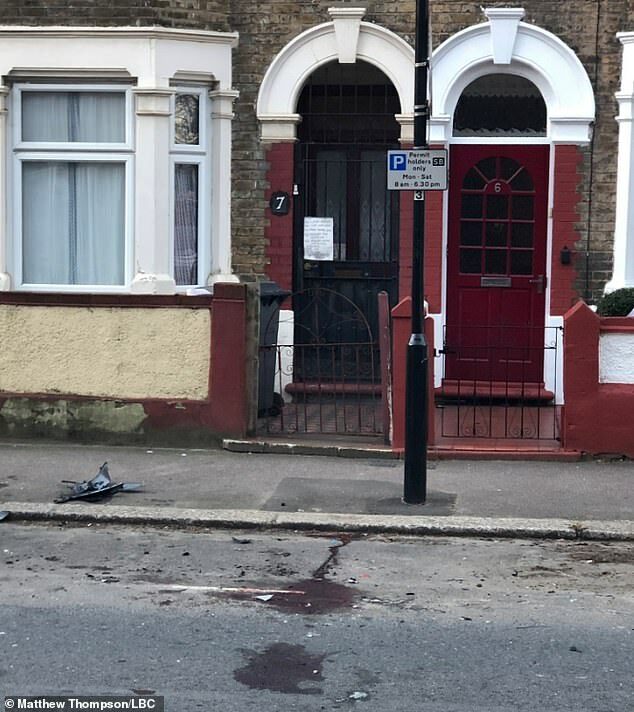 Officers were called to Bickley Road, Waltham Forest shortly before 6.30pm following reports of a road crash between a moped rider and a car and found Jayden stabbed in the road. 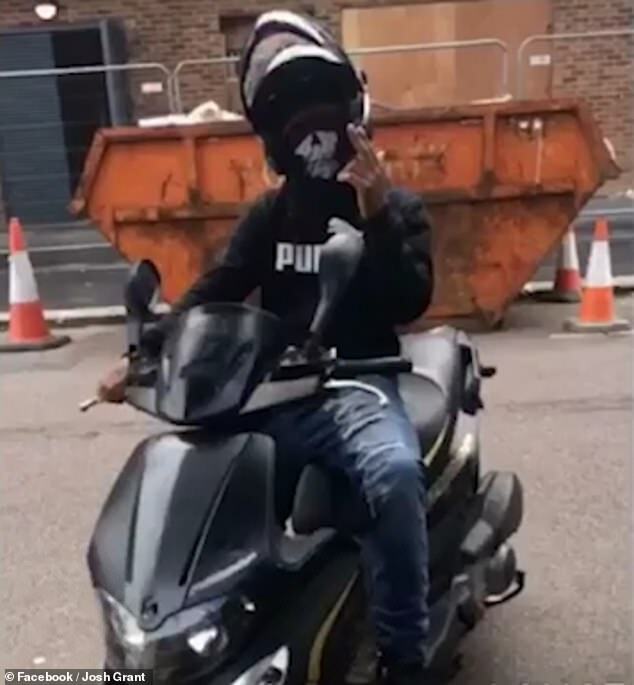 The video features a number of images including one which shows Jayden on a moped and another showing him in his school uniform. 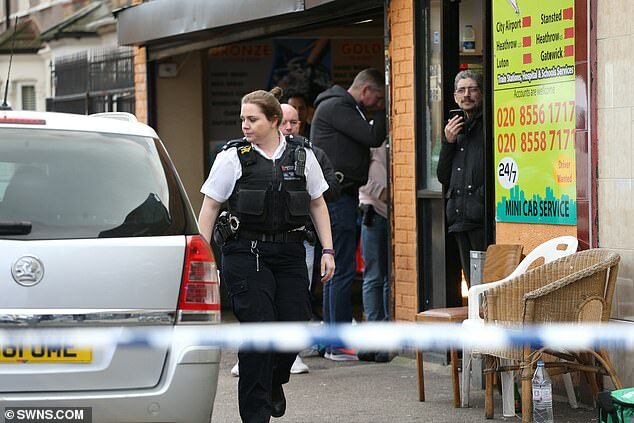 Police are investigating whether the killing in Waltham Forest, North East London, during rush hour yesterday was motivated by a row between rival gangs. 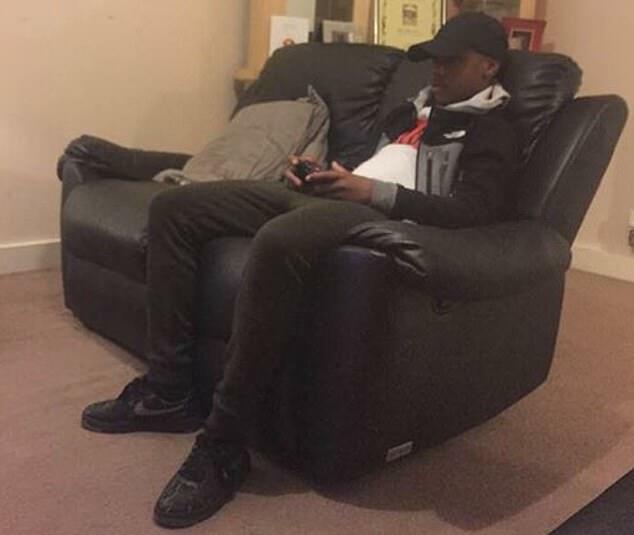 Jayden, who lived with his mother, is thought to have moved to the capital only six months ago from Arnold in Nottingham – and friends said he was a ‘humble’ boy. Speaking today Chief Superintendent Richard Tucker from the Metropolitan Police said that ‘we shouldn’t have to live like this’. This afternoon Jayden’s godmother paid tribute to the youngster by describing him as ‘full of life, fun loving and a ray of sunshine’. Speaking at her home in Nottingham, Zoe Grant said: ‘He was a beautiful boy, so intelligent and had everything to live for. 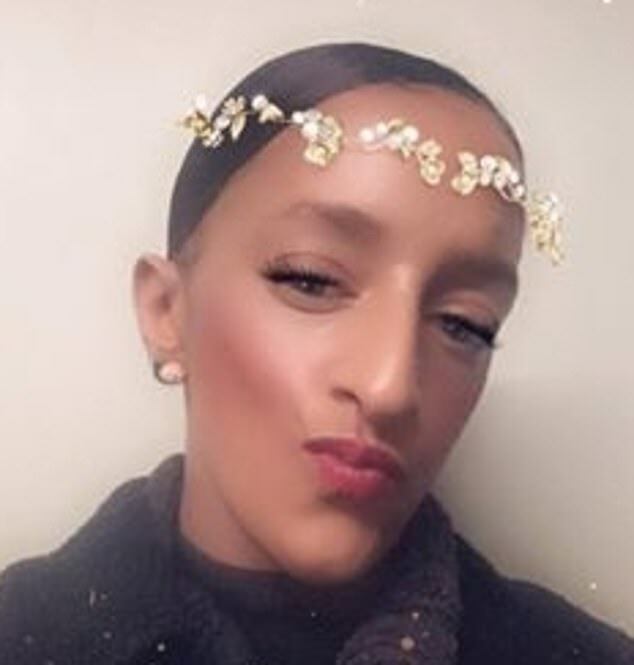 Ms Grant said Jayden’s mother had called her to tell her the news of the teenager’s death, adding: ‘I’m so numb from everything that has happened and I’m shocked by it all. The 14-year-old had previously been pictured meeting his idol Anthony Joshua, and appears baby-faced and smiling next to the boxing star. 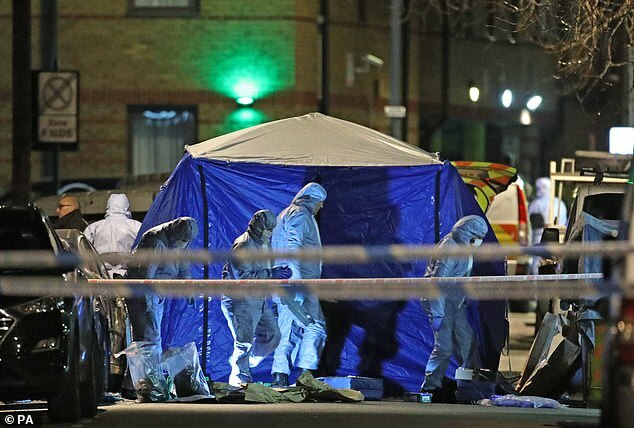 It’s a stark contrast to the shock news his family received on Tuesday night after the teenager was murdered in an area notorious for drug dealing and blighted by so-called county lines gangs that are known to exploit children. The black Mercedes B Class was recovered in the Carlisle Road area of Leyton this afternoon and remains in situ for forensic recovery. 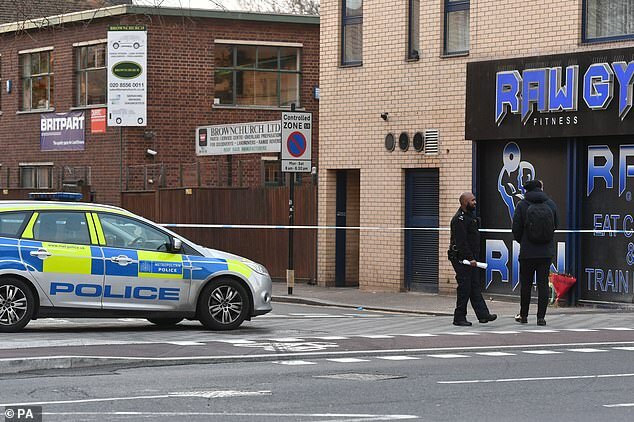 Separately, a man in his 20s was stabbed in the face three streets away at 1.30pm this afternoon and taken to a nearby hospital with non-life threatening injuries. 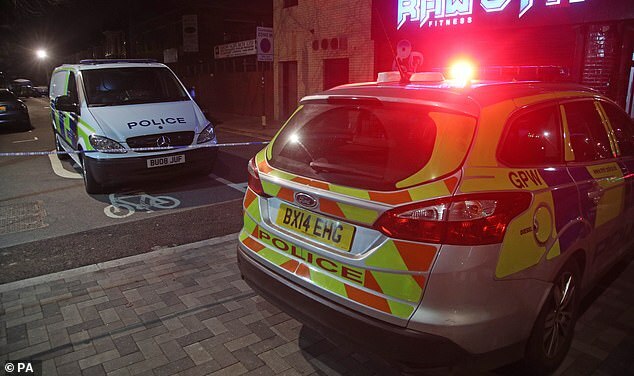 That incident happened seven minutes after police were called to reports of a man being chased by a group of youths in the area – but found no trace of any victim. 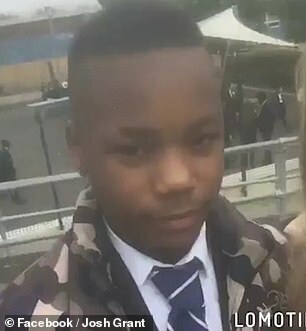 Jayden is the youngest person to be murdered in the capital since Corey Junior Davis, also 14, was fatally shot in Forest Gate, East London, in September 2017. 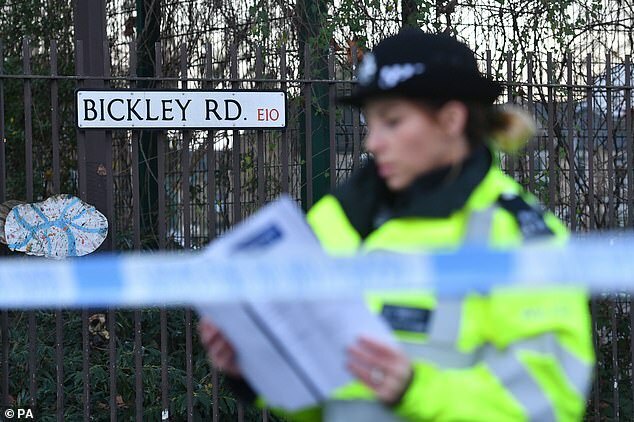 Speaking today Chief Superintendent Richard Tucker from the Metropolitan Police said he could not sleep for thinking about what had happened to such a young boy. 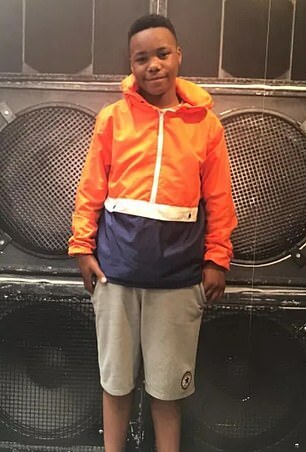 This evening, it also emerged that Jayden had speaking to members of a nearby youth charity – which he occasionally attended – in the moments before his death. 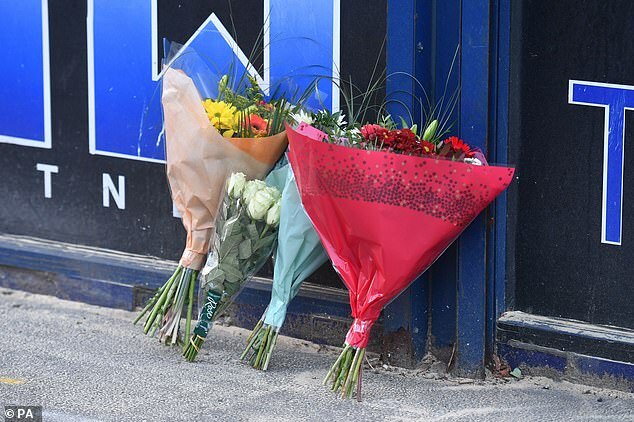 Tim Evans, CEO of Worth Unlimited, said: ‘The loss of any life in a violent act is incredibly sad, but that this was a 14 year old makes it all the more heart-breaking. A family friend, who gave his name as Solomon, said Jayden was a ‘wonderful’ and ‘loving’ child. 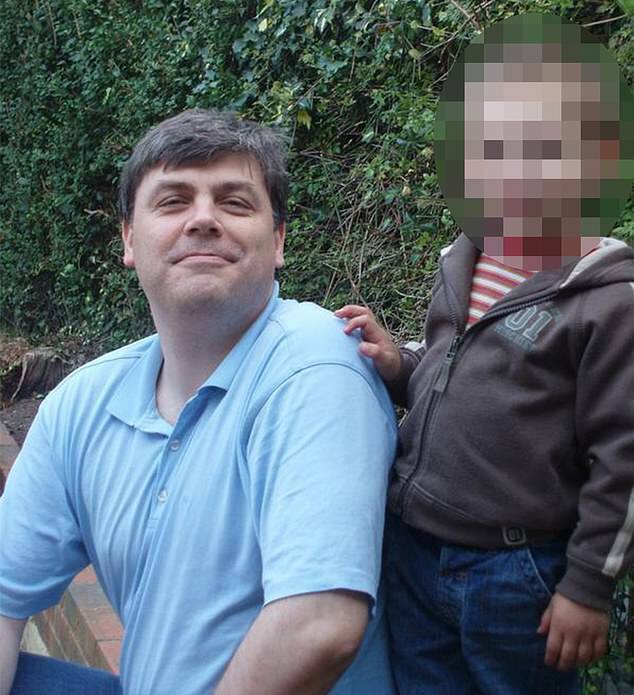 Solomon, who said he was a youth worker, said the system was ‘really letting down the youth’. ‘We knew Jayden, although he was not a regular participant in the sessions we run. In the early part of yesterday evening, some of our team had been chatting with him. 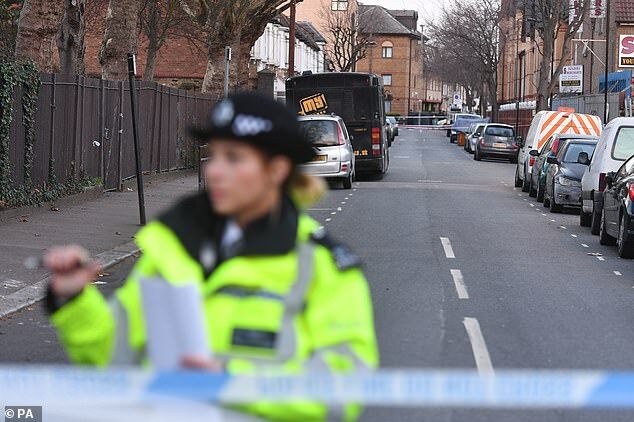 ‘We were running a youth work session on our Youth Bus in the same street and at the same time as the incident occurred, although we were not aware of anything happening until after the alleged perpetrators had fled the scene. 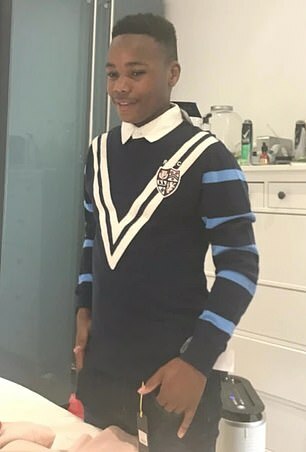 Mr Evans went on to say that the charity is assisting the police with their enquiries and has expressed its deepest condolences with Jayden’s family and friends. He said: ‘There are not words to express the horrific waste and appalling loss which has occurred. 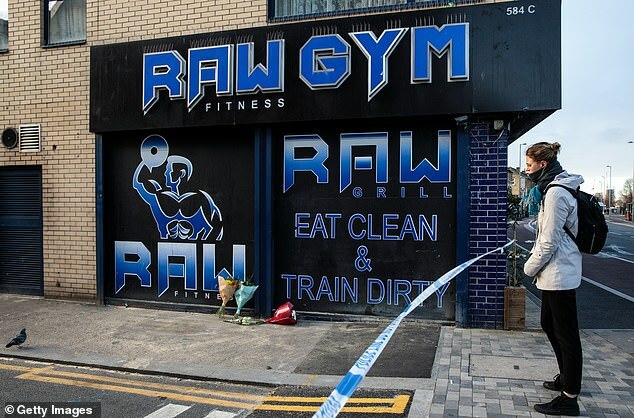 ‘Our colleagues who were at the scene yesterday are understandably shaken up by being so close to the murder taking place and involved in the aftermath. 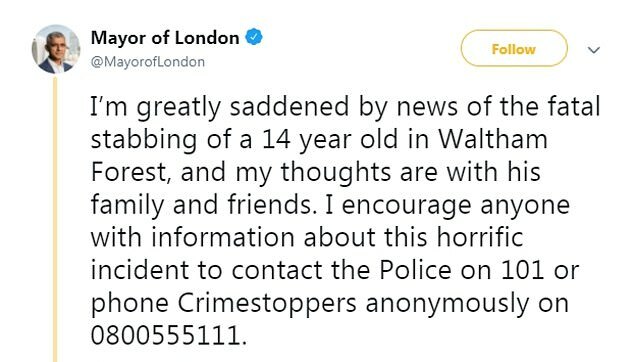 Detective Inspector Chris Soole, who is leading the homicide and major crime team in their investigation, said: ‘Any murder is appalling but the death of a 14-year-old boy is particularly shocking. 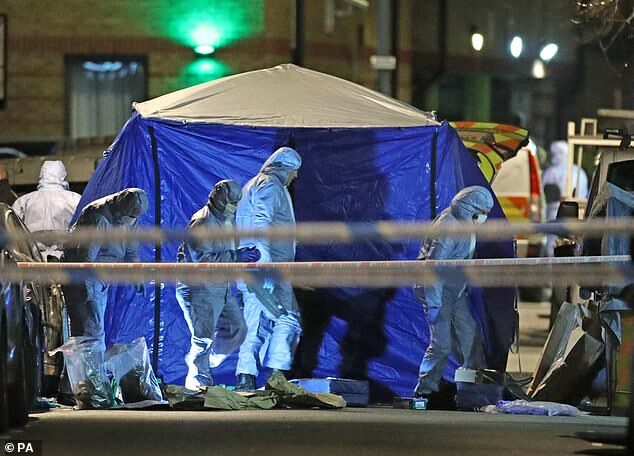 ‘Everything we know so far points to the fact that this appears to be a targeted attack and those who carried it out had only one objective which was to inflict fatal injuries on Jayden. 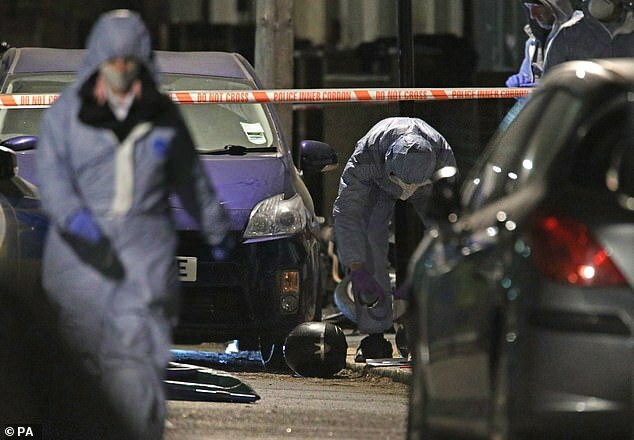 Speaking following the recovery of the vehicle believed to have been used in the attack, he said: ‘We are treating the recovery of the car as a significant development in our enquiries, which are still very much in their early stages. 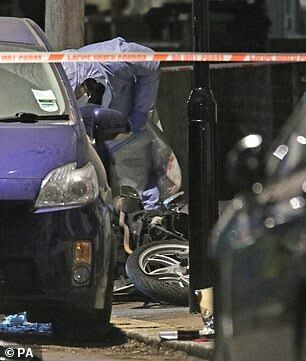 Scotland Yard said the murder was ‘a targeted attack’. Chief Superintendent Richard Tucker also said today: ‘Everyone is shocked and appalled by this murder. He added that a Section 60 order has been activated, allowing police to stop and search anyone without suspicion. Speaking about the second incident today, a bus driver said at the scene: ‘I saw four men beating someone with a beard outside Barclays bank. ‘They had baseball bats, they were beating him all over his body – it was four on one. Meanwhile Mr Tucker said his priority was to reassure the community and that extra officers were patrolling the area. The Chief Superintendent went on: ‘The overriding factor is he’s 14 years old. 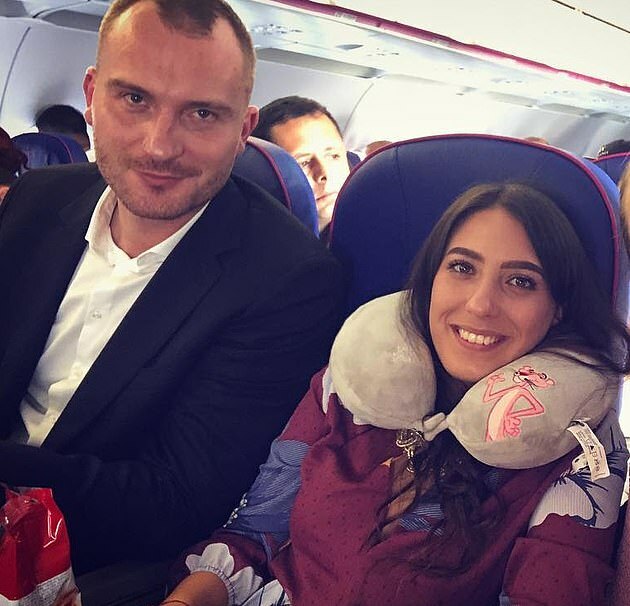 A lot of people are saying ‘young man’ – he’s not. He’s a boy. He’s 14. 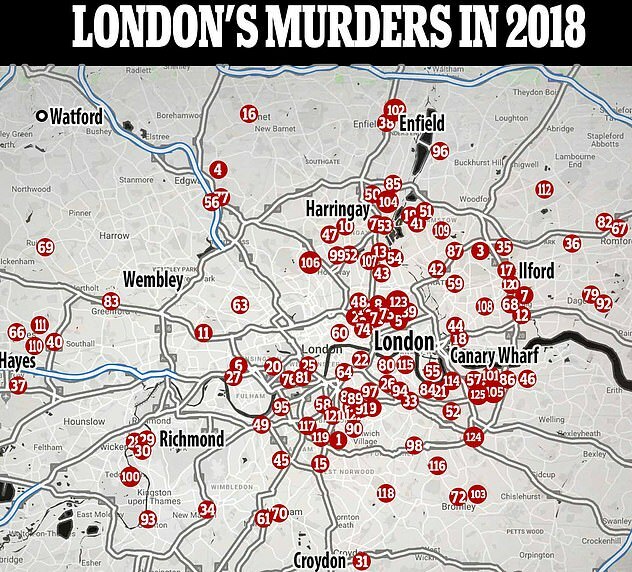 When asked if police had lost control of the violence in London, he said: ‘No – I am confident we have enough officers today to deal with what’s going on. 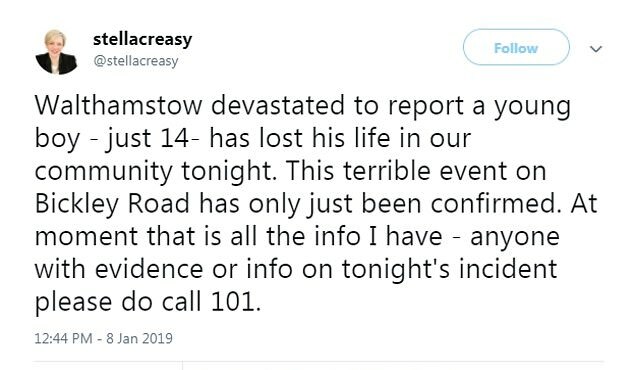 His comments respond to concerns raised my Jayden’s godmother, Ms Grant, who also said earlier today: ‘There needs to be more policing on the streets and more things for the youngsters to be doing. ‘The violence is out of hand, it’s not right. A large police cordon sealing off the murder scene remained in place today as local residents voiced their anger over ‘constant violence’. 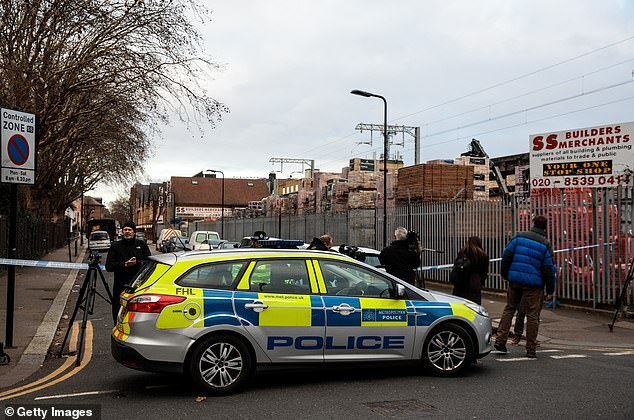 A warehouseman at SS Builders Merchants said a group of teenagers were spotted near the murder scene an hour earlier. 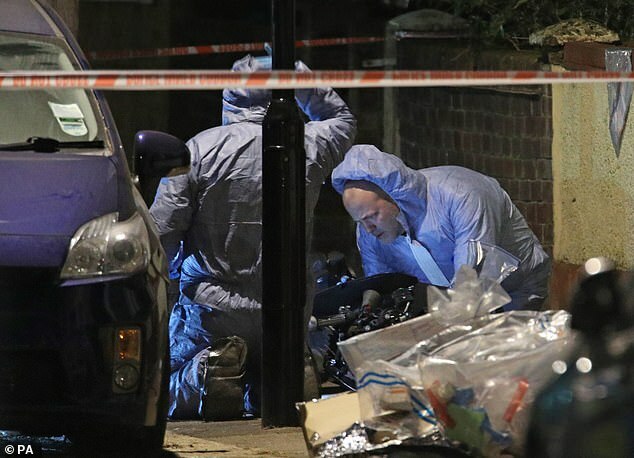 Sam, a local father-of-two, said he was ‘sick to death’ of the ‘near-enough constant’ stabbings. The 48-year-old said: ‘This was actually a nice area growing up. ‘I enjoyed my teenage years. Now if you talk to anyone here they’ve got their own story about either someone they know, or someone they’ve seen get stabbed. Speaking at the crime scene, an unnamed friend said Jayden was a ‘popular guy’ who was ‘always smiling’. He said: ‘Jayden was always smiling, he always had friends around him – he was very popular. We weren’t massively close because he was some years younger than me, so I don’t know his surname – but we would talk. 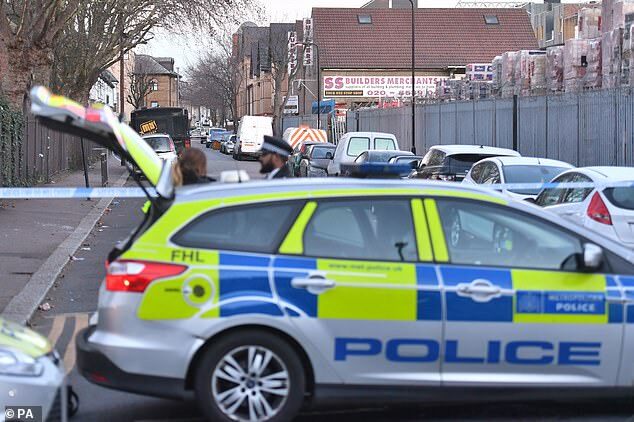 A man who lives near the scene suggested a BMW was involved, saying: ‘I heard a massive noise and went outside. 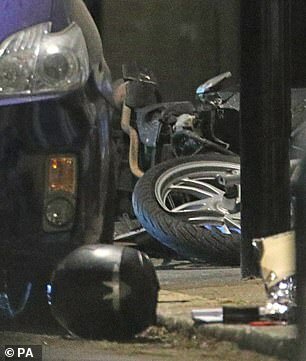 The boy was under the wheels of a blue BMW. ‘Three men got out and stabbed him six times. He was already unconscious and couldn’t move. They gathered around him. ‘There were three; they were dressed in casual clothes and did not cover their faces. It was too dark to see who they were. ‘They each had a long kitchen knife. They butchered him in silence. He was stabbed six times. I ran outside to save him, but it was too late. He was so young. 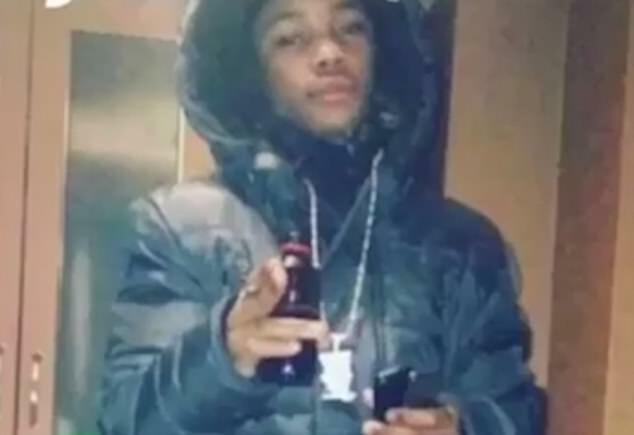 The London borough where Jayden Moodie, 14, was stabbed to death is notorious for gang-related violence. 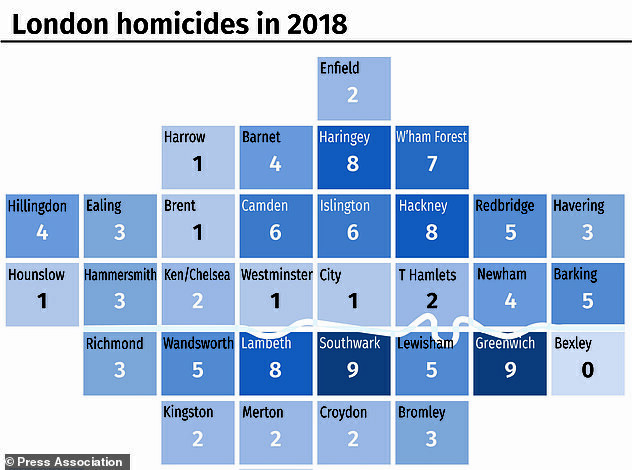 A report for the local council in Waltham Forest warned last year that so-called ‘county lines’ drug gangs were operating in the area, and that the council has pledged £3million to tackle gang crime. The gangs are known to involve children as young as ten in their drugs trade. 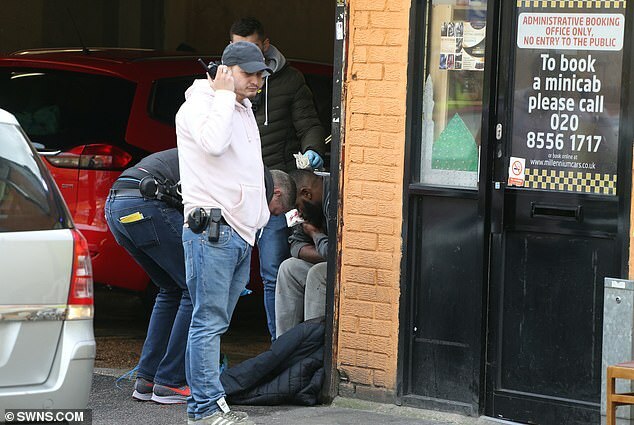 Several gangs operate in the area, with the two most notorious known as the ‘Beaumont Crew’ and the ‘Oliver Close Crew’ after the names of local housing estates. 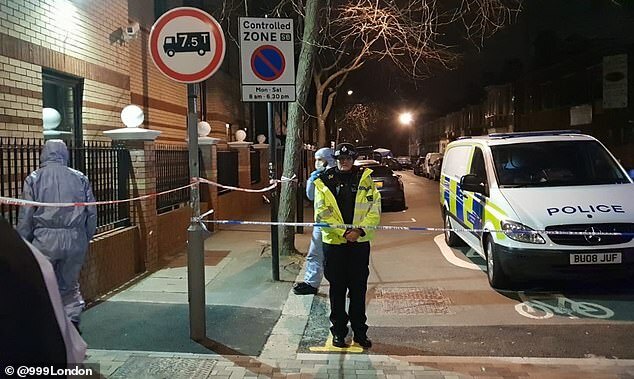 The murder was the third stabbing in just three days in the borough. 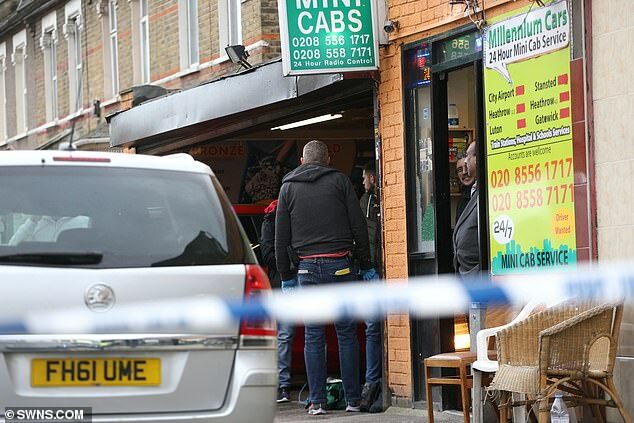 A woman was left fighting for her life when she was attacked on Saturday. 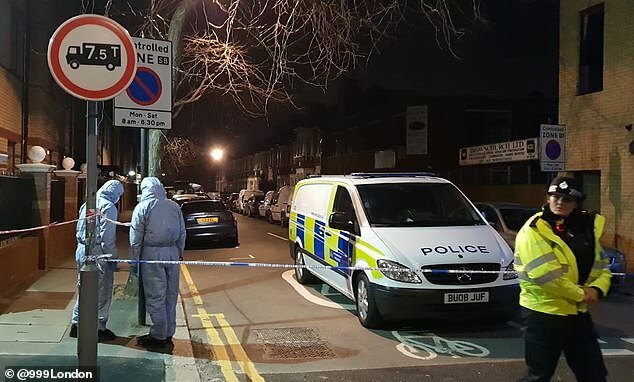 An 18-year-old man was injured in a stabbing at Blackhorse Road Tube station on Sunday, with a 13-year-old boy arrested over the attack.